La Casa Botellas in Puerto Iguazu in Argentina is the work of Alfredo Santa Cruz, who is neither architect nor engineer. Initially he built a play-house for his daughter from recycled materials and found the result so fascinating that he decided to continue. He built a residence for his family much in the same spirit as Andreas Froese discusses earlier in this book: to solve the garbage problem in combination with housing shortage. 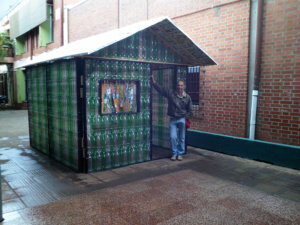 Within the wooden frame he placed about 1200 PET bottles as filling; he made curtains out of the bottle caps, and the roof contains 1300 re-used tetrapackages. 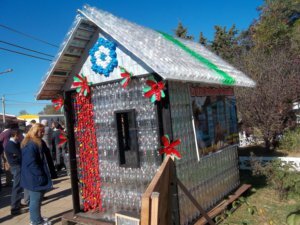 A house made of 13,500 plastic bottles was built by a retired proffesor of mathematics Tomislav Radovanovič. Only the foundation is made of concrete. 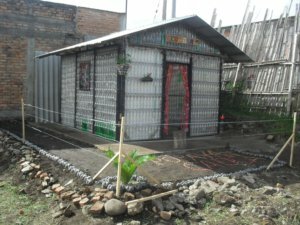 With the help of his students, compeltion of this house took the builder 5 years. 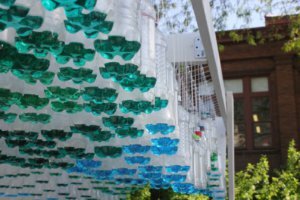 Not only the floor, the walls and the columns and the roof is made of plastics, the house is also equipped with articles made of PET bottles. The kitchen table and the chairs, the lights and even the bathroom was designed from plastics. Some bottles are filled with concrete. some with silicon and the rest is left empty. 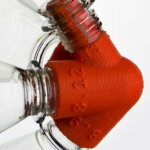 The shape of the bottles is changed in some cases with the use of heat and wooden or steel mould. Some decorative pieces were painted by the author. Additionally 2500 caps were used just for decoration. 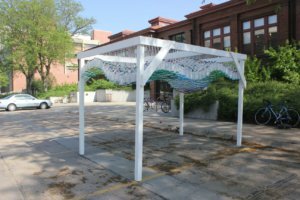 (POP)Culture shelter is a project by Garth Britzmann who intended to create a canopy shading device above a parking lot. 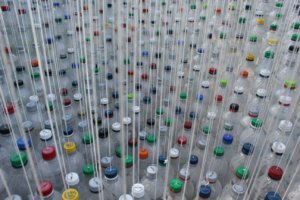 1581 empty soda bottles of 20oz (0.6 liters) were filled with a small amount of colored water. 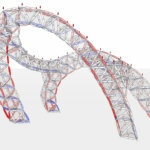 The basic structure of the canopy is a frame structure. The bottles are attached by strings. 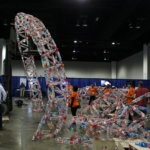 It took 27 volunteers 12,5 days to connect the bottles to the strings and erect the final construction. The object stood on site for three months. It was demolished because it was discovered that mold had formed in the bottles. 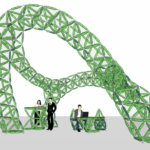 The projects’ geometry was created with the use of 3D modelling software Rhinoceros with scripting in Grasshopper plug-in for this program. First the surface was designed, and after that the length of the strings was derived, and also the color of the water for the bottles, which was related to the height from the plane. 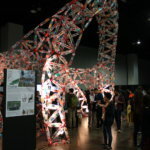 The South African designer Heath Nash took part in the HIFA performing arts festival in Harare, Zimbabwe, 2011, where he created in cooperation with local craftsmen shading structures made out of found and dumped material and PET bottles. 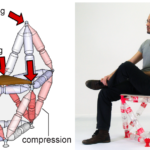 The shading on the image to the left shows a triangular construction made of steel perforated L-profiles. 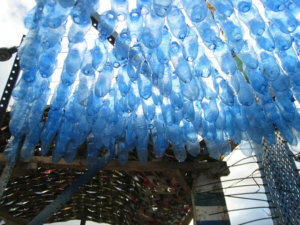 Wires are spanned between the profiles and on these wire the blue PET bottles are fastened. 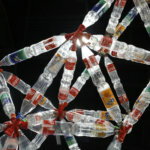 The bottles are empty and therefore very light, thus the wires are sufficient to hold the structure. In Guatemala a technique is used which was invented by Susanne Heisse. Plastic bottles are filled with plastic garbage found on the streets: plastic bags, wrappings, pieces of styrofoam, and so on. The bottles remain light and obtain a slightly higher isolation value. For the construction of the building it is necessary to construct a simple frame, either of wood or concrete. 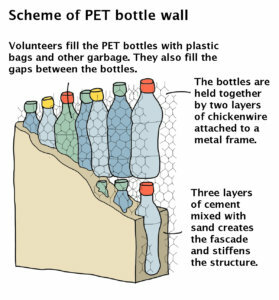 The bottles are fixed within the frame between two layers of chicken wire fencing. The wall is then covered and stiffened with cement mortar. Because of the climate conditions there is no need for very high isolation values. 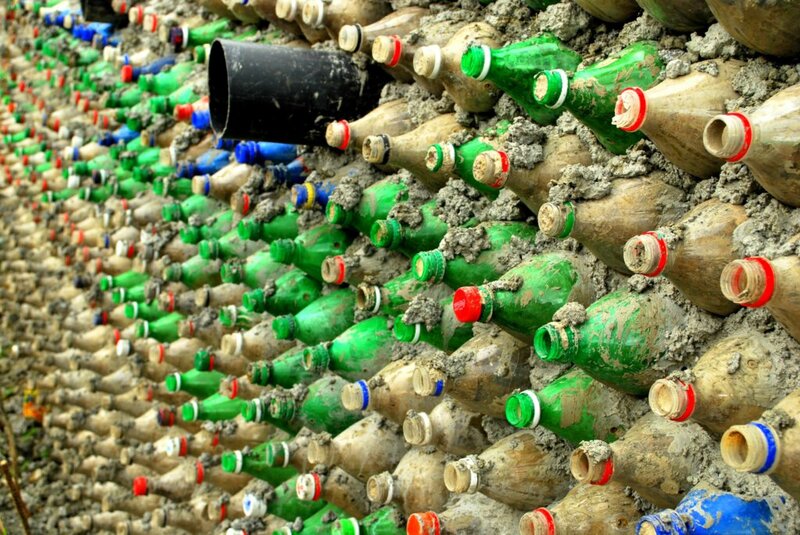 The bottles are only used as filling to reduce the amount of cement that is necessary to make the walls. There also plays the role empowerment: the school children and people of the neighborhood are involved in the construction of their own school which is possible because the technology is very straightforward and does not involve trained labour. 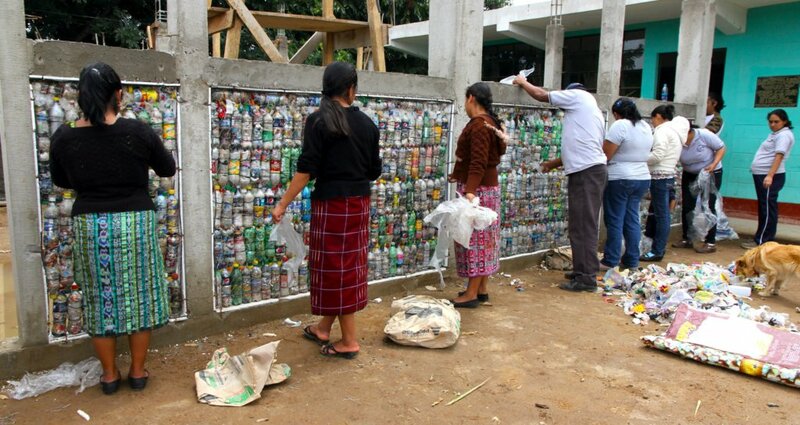 Finally, the participants learn from this how to build structures from on-site resources and garbage. Case del Fe (Faith House) is a house built for the Hondurian Foundation for Rehabilitation and integration of handicapped people. This building does not feature a green roof. For pillars, Andreas Froese used vehicle wheel rims to create columns. 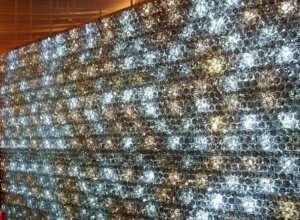 The Japanese architect Tadao Ando designed a spectacular wall incorporating 17 400 PET bottles of 0,5 liter for the interior of the Morimoto restaurant in New York City. The bottles are filled with mineral water. The bottles are mounted horizontally on a frame by means of couplers. There are also LED lights at the couplers so that in this way the wall becomes a lighting element in the restaurant. The electricity is led horizontally on a bracing. The wall is two floors high. 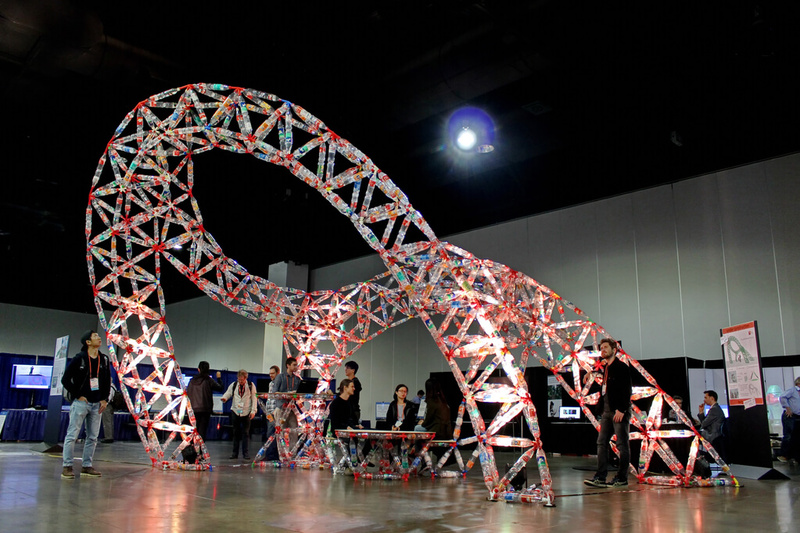 While freestanding bottles tend to break easily, truss structures essentially consist of triangles. 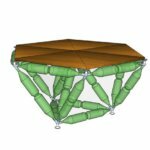 In such an arrangement, it is the structure that prevents de-formation, not the individual bottle. 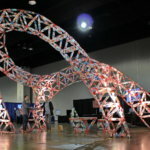 The main strength of trusses is that they turn lateral forces (aka bending moments) into tension and compression forces along the length of the edges (aka members). Bottles make great members: while they buckle easily when pushed from the side, they are very strong when pushed or pulled along their main axis. 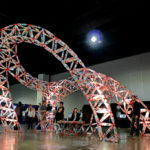 TrussFab affords building trusses by combining tetrahedra and octahedra into so-called tetrahedral honeycomb structures. 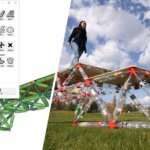 TrussFab is an integrated end-to-end system that allows users to fabricate large structures that are sturdy enough to carry human weight on desktop 3D printers. 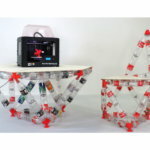 Unlike previous systems that built on up-cycled plastic bottles combined with 3D print, TrussFab considers bottles not as “bricks”, but as beams that form structurally sound node link structures also known as trusses, allowing users to handle the forces resulting from scale and load. 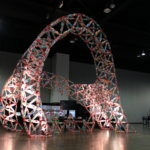 TrussFab embodies the required engineering knowledge, allowing non-engineers to design such structures and allows users to validate their designs using integrated structural analysis. 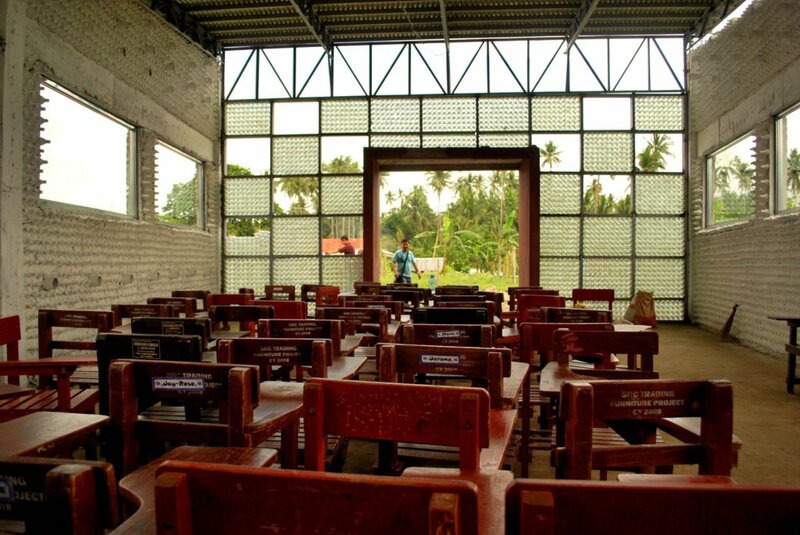 The My Shelter foundation (led by Illac Angelo Diaz) acquired site from the local government in San Pablo and sponsorship by Pepsi to build their first PET bottle school in Asia on the Philippines. For the school construction, 9000 PET bottles were collected during a public run in San Pablo and filled with mud, sand, straws, and even manure, all of this mixed with water. 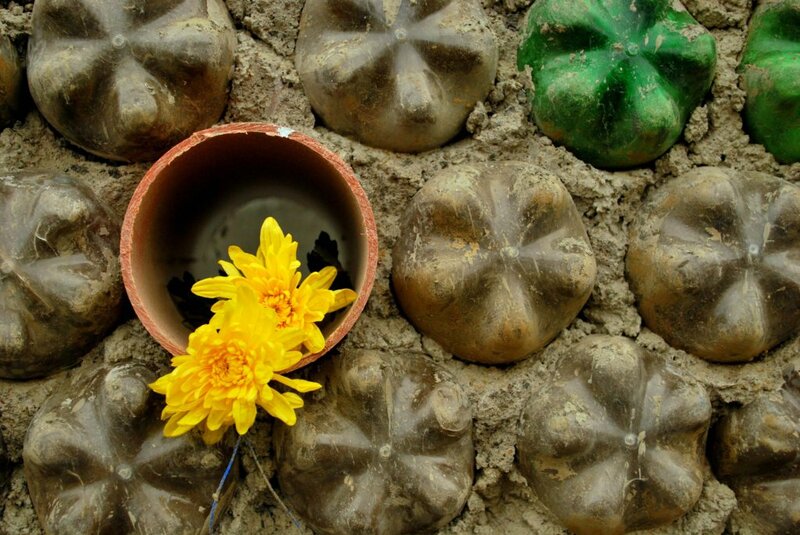 The space between the bottles is also filled with adobe which later simply dries in the sun. The structure is strenghtened by steel bars. There exist several examples of such schools, most often realized by non-governmental organisations, such as My Shelter and Hug it Forward. Building the object is usually just visible result of primar intentions: community support together with cleaner landscape. The latter has already built a number of schools in Guatemala. The precursor of Hug it Forward is the independent organization Pura-vida founded by Susana Heisse in 2005.